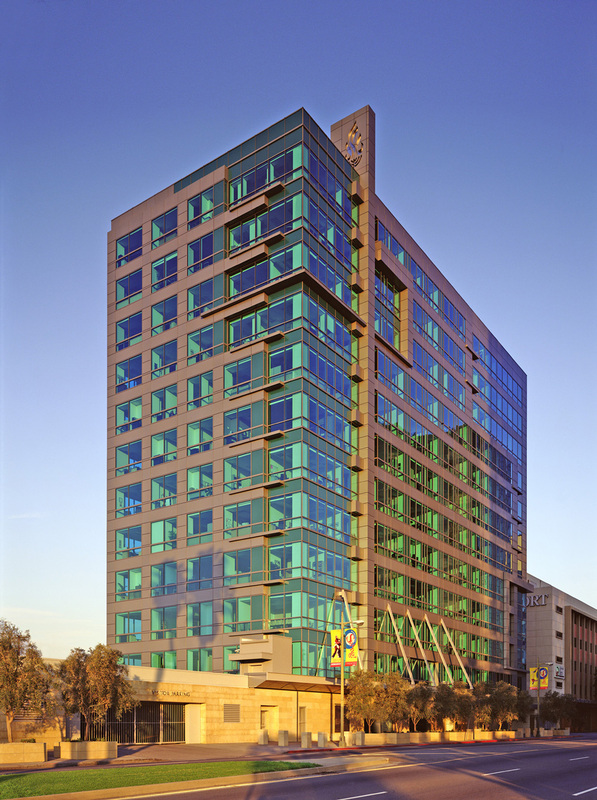 Gruen Associates was the Design Architect for the $17 million renovation project, located at the entrance to the famed Miracle Mile of Los Angeles. 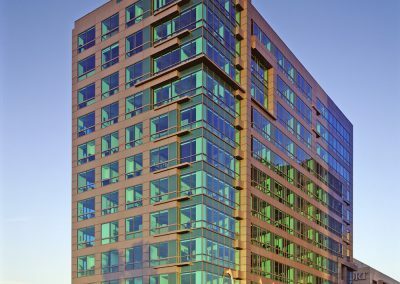 The 12-story, 135,000-SF building, originally constructed in 1955, received a new exterior façade to highlight the architectural importance of its location. The project includes ADA and building code upgrades, seismic reinforcement, and the modernization of the mechanical, electrical and vertical transportation systems. The building houses over 13 departments and agencies associated with the prestigious non-profit Jewish Federation. The modernized design enhances the building’s image while reinforcing the safety, security and technological improvements to the building. The completed project was designed on a fast-track schedule to meet the client’s move-in requirements.